As the props of jewelry displays, the jewelry display cases aim at how to showcase your jewelry display items in a much better, more comprehensive way further to attract the attention of customers. So what kind of jewelry store display cases can attract customers? First of all, we should always understand the market dynamics, according to the preferences of customers to customize the currently popular style of the jewelry display stands for shops, you can add more fashionable elements into it. In addition, according to the jewelry business enterprise culture, brand connotation and the color style, you can mix them well to design the jewelry store display cases. As we all know, jewelry brand image, in a short period of time, is hard to be impressive, so we should establish a good store image. In this regard, jewelry displays cannot be underestimated absolutely. When customers see the not-high-end and cheap jewelry presentation boxes, it will leave a bad impression on the customers. Therefore, it will affect their desire to buy. 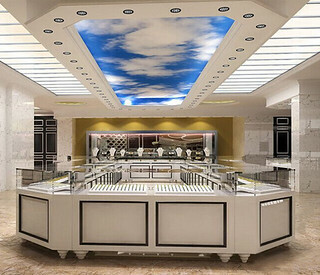 If the jewelry display can attract customers at a glance from the beautiful appearance and good quality of the jewelry store display cases, the jewelry brand image will be deeply rooted in people’s heart, and it will also arouse the customers’ desire to buy, thus to improve the growth of jewelry sales. In order to attract the attention of customers in the first time, many stores have put a lot of efforts in the design and production of jewelry store display cases, trying to create a variety of visual communication effects, thereby attracting more customers. However, if the design and production of jewelry presentation boxes are too much, it also easily goes to be counterproductive. To pursue distinction is to distinguish from other competitors in the same field and to avoid following the current. On this basis, according to the requirement of the business enterprise and its brand characteristics about the jewelry store display cases, the image theme suitable for the enterprise and brand should be extracted, and a good image should be set up through the means of art and the modification of space.